Another Tab Battle is now available in Fire Emblem Heroes! However, this is not a completely new series of stages. Instead, this new event rerun, Encore! Illusory Dungeon, features an old Tap Battle come back. In this first instance, it’s Labyrinth of Mists. 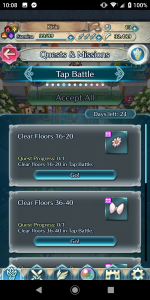 Even if you beat this Tap Battle the first time, you can still play through the stages again to earn rewards. There’s even more Daily Quests like usual. 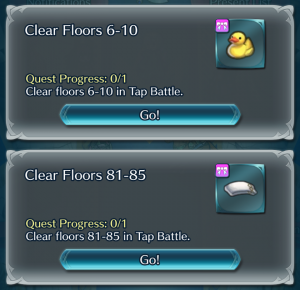 Furthermore, a new series of Tap Battle quests grants old event Accessories! The first four quests reward the four non-EX accessories from the very first Forging Bonds event. The final quest rewards the Spring Bunny Hat, which was available during a limited quest last year. If you’ve already earned these accessories, you’ll get 300 Hero Feathers in place for each one. This special Encore! Illusory Dungeon will be around for a good few weeks, ending on 4 April. The Daily Quests will only be available for this first week and will end on 17 March. Heroes: Illusory Dungeon: Farewells + Voting Gauntlet Finals! A new Tap Battle has just arrived in Fire Emblem Heroes! Flex your fingers and head over to the Events menu to tackle Illusory Dungeon: Farewells. 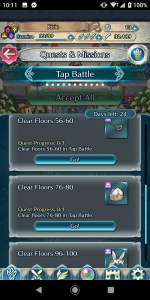 There have been a few recent Tap Battle changes lately that Heroes players may wish to make use of. Starting with the 2.9 Update, you can now swap sides to have your heroes on the right and enemies coming from the left. Starting with this Tap Battle, you can also earn Accessories as rewards! 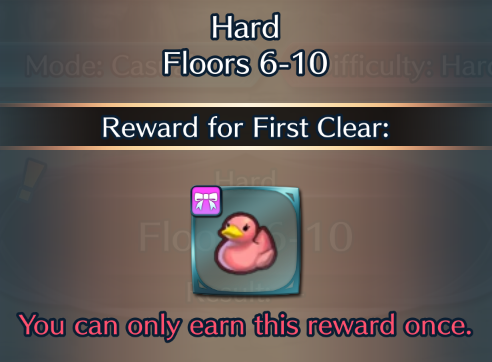 Nab the first one today by clearing Floors 6~10. Illusory Dungeon: Farewells will be around for a whopping 33 days, ending on 12 October. Daily Quests start today and will last until 16 September, while a new set of Quests will begin on the 12th. Additionally, the final round for Voting Gauntlet: The Chosen Ones starts today! Ephraim and Veronica beat out the competition and are now fighting head to head. This final round will last 45 hours, ending on Monday at 3:59am UTC. May the best hero win! Heroes: Forging Bonds Details Revealed! A new event type will soon be starting in Fire Emblem Heroes! Today, the Notification Screen shared some Forging Bonds Details to give people additional information about the new game mode. The first Forging Bonds event starts this Monday, 23 July, at 7:00am UTC. This version of the event features the new characters available in the current Ylissean Travelers Banner. The main focus of the event is unlock special conversations with each of these characters. Further rewards include Orbs, Hero Feathers, Divine Dew, Accessories, and more. Additionally, we’ll be getting a bonus gift of 20 Orbs when the event begins! Scroll on down for some further details. 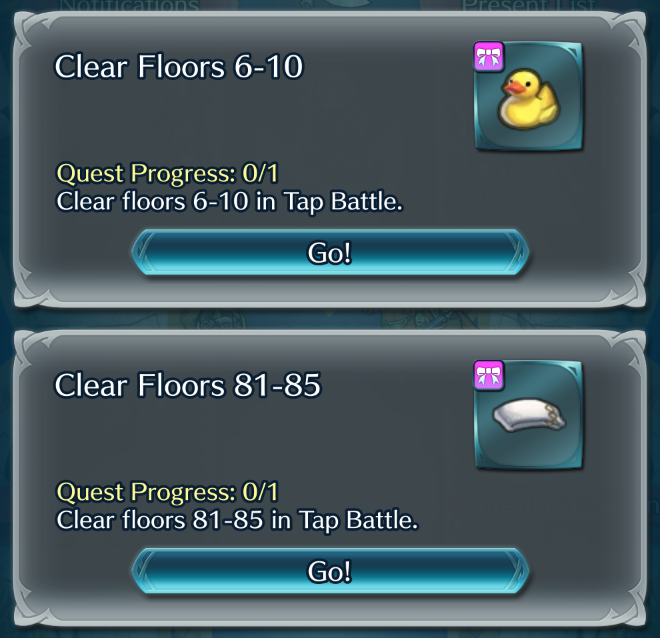 Heroes: Tap Battle Quests Bring New Accessories! 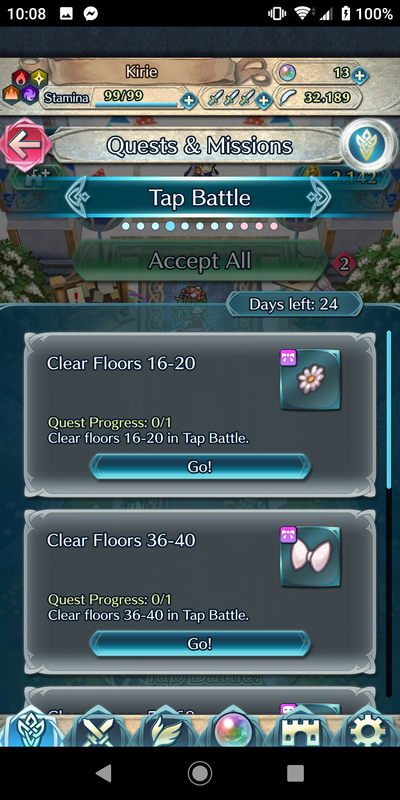 Fire Emblem Heroes has just added Tap Battle Quests to the latest Tap Battle! 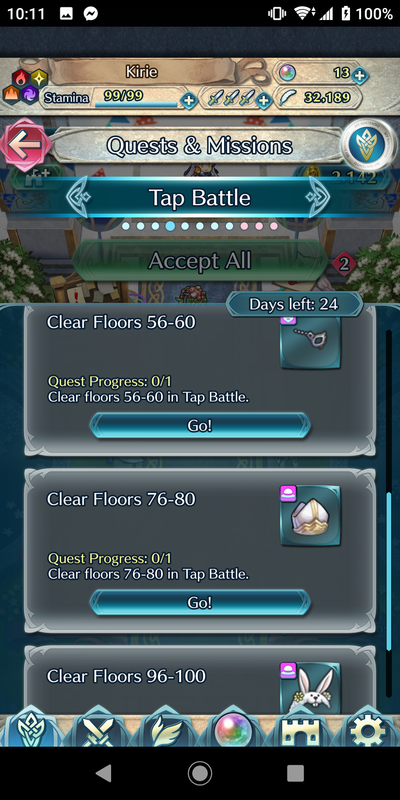 Like previous Tap Battle Quests, you can earn Orbs, Sacred Coins, and also Refining Stones by completing different stages a certain number of times. Additionally, you can also earn two brand new Accessories! 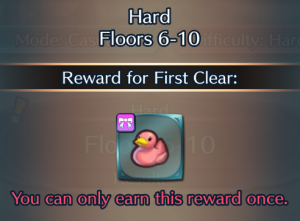 Complete floors 6-10 and 81-85 to win the Yellow Ducky and Hand Towel. These quests will be around until 25 July, so you’ll have plenty of time to tap your way through the dungeon and win some prizes. To whom will you give your cute little bonus duck and hand towel?